Halloween! All Hallow’s Eve! Scare-Topia 2000! 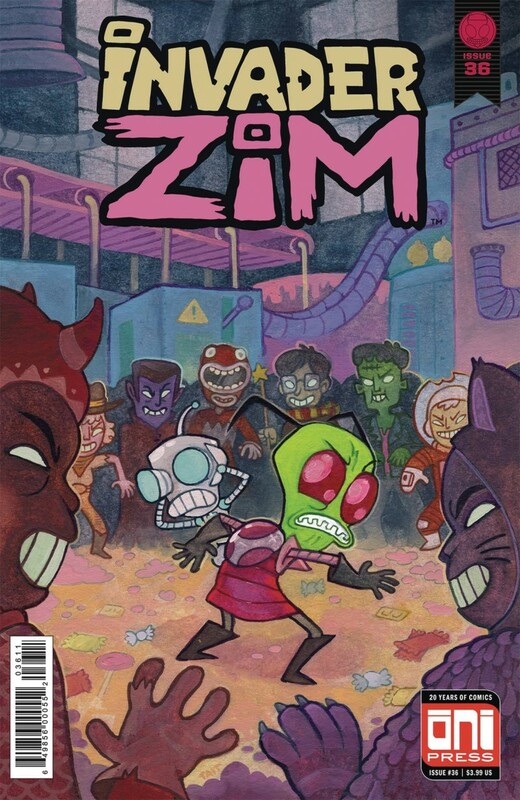 Whatever you call October 31st, ZIM doesn’t quite understand it. All he knows is that the candy given out on this terrible day must have some kind of mind-control substance inside of it (that he will, of course, exploit for world-taking-over purposes). When his investigation leads him to an abandoned factory and a band of feral children living off its sweet, sweet reserves, he’ll learn the hard way that some things are better left unknown.